Submitted Photo David Winner designed and built the Book Box that is now in front of the Unitarian Universalist Congregation of Jamestown. He is pictured with his creation that reads “Reading Helps You Grow” on the side. Children and parents are invited to stop by and choose a book from the Book Box that will be theirs to keep. JAMESTOWN – Members of the Unitarian Universalist Congregation of Jamestown (UUCJ) have installed a Book Box in front of their building at 1255 Prendergast Ave.
Children and parents are invited to stop by and select one of the books inside that they can keep as their own. Wood craftsman and UUCJ President David Winner volunteered to design and build the Book Box for the latest project of the church’s Social Justice Committee. This outreach program was inspired by Ruby Wiles, the recipient of the church’s 2017 Richard T. Parker Award for Social Justice. The Parker Award recognizes individuals whose volunteer work for social justice has not been widely acknowledged. 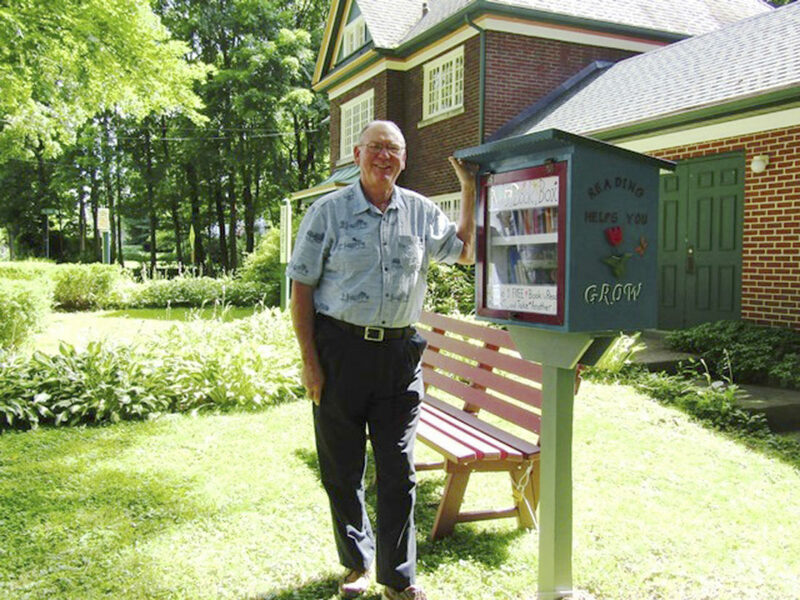 A Warren, Pennsylvania resident, Wiles is the founder of Free Books for Kids Town and Halloween Read and Treat. She is passionate about encouraging children to read by having books that belong to them. Her passion is supported by an international study that found having books in the home helps all children – but especially those from disadvantaged homes – to go further in school. After meeting with Wiles, the Social Justice Committee decided to promote reading by getting books to kids who might not have them. It funded church member and Washington Middle School English as a New Language teacher Emily Garrick’s purchase of books for her students and provided books to Fletcher Elementary School kindergarteners. The mission of the UUCJ is to promote and provide a community where diverse people of all ages may explore the meaning of existence, give expression to liberal religious values, and work for a just, sustainable society. 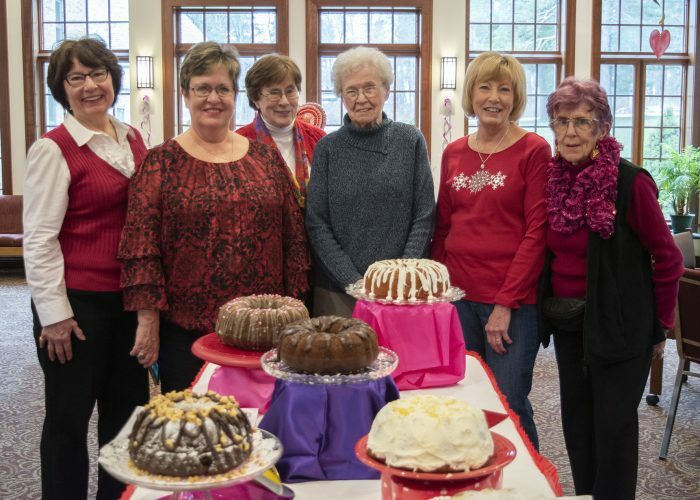 Members strive to provide programs and a caring community in which all persons are empowered to serve one another, encouraged to pursue spiritual growth, accepted for who they are, and supported in life’s transitions. During the summer, UUCJ members participate in Sunday morning Unitarian services at Chautauqua Institution. Jamestown services will resume at 10:30 a.m. on Sundays in the fall. Learn more about the UUCJ at JamestownUU.org and on their Facebook page, facebook.com/jamestownuu. Information about Free Books for Kids Town can be found at facebook.com/FreeBooksForKidsTown. Halloween Read and Treat information is at halloweenreadandtreat.weebly.com.